Sagitta are delighted to present this beautiful Mercedes AMG C63 S in Selenite Grey Metallic with 2 Tone Black and White Upgraded Nappa Leather Interior. 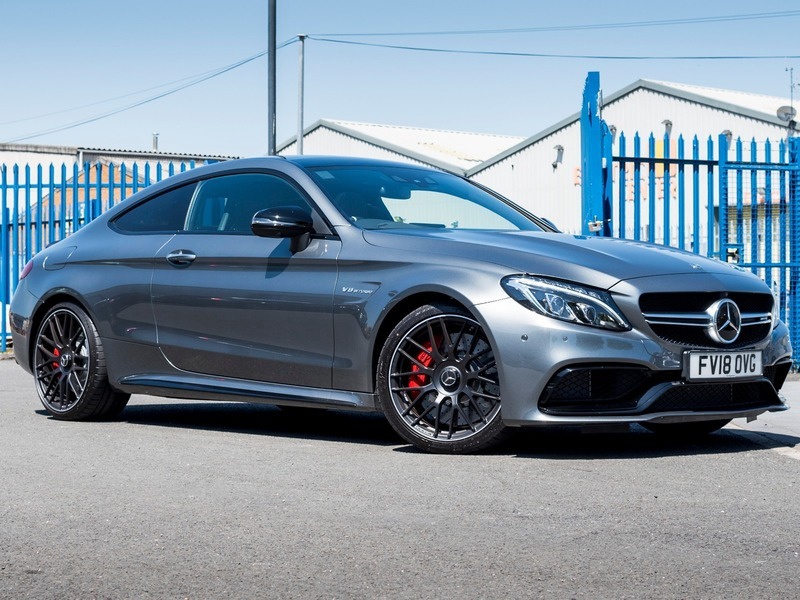 This absolutely stunning C63 S comes standard with AMG Sports Exhaust, AMG Track Pace, AMG Performance Seats, Command System/Satelite Navigation with Bluetooth and Voice Control, DAB Radio, Heated Front Seats, Parking Sensors all round, Electric Tailgate, Driver Assistance Package, Active Blind Spot Assist, Electric Memory Seats, Panoramic Sunroof, Ambient Lighting, Keyless GO and the Mirror Package. And now for the additional options - Driving Assistance Package, Premium Package, AMG Night Package, Air Balance Package, Carbon AMG Trims, 19"/20" AMG Alloys, Park Pilot with 390 Camera and Heads Up Display. Finance Available and Part Exchange considered.